Bed bugs can be one of the toughest pests to identify, let alone eradicate. Because of their small, flat bodies, bed bugs are able to hide in the tiniest crevices – often hiding in the seam of your mattress or joints of your bed frame and furniture. Bed bugs come out at night and bite exposed skin in order to feed on blood. Bed bug bites cause unsightly irritation which can last for days at a time, and an infestation can leave bite marks dotted all over your body. If you have bed bugs in your home, trying to get rid of them alone can be an insurmountable task, so if you need help with getting rid of bed bugs in your property, it’s always best to call the professionals. The common misconception is that bed bugs only infect filthy homes and spaces; this isn’t true. 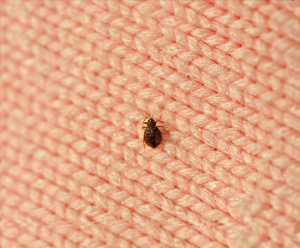 Bed bugs feed on blood, and can potentially infest any home. They will often travel, transferring from infested hotel rooms into clothes and luggage, spreading easily into homes without warning. Public spaces like hotels, hostels and apartment buildings are prime hosts for bed bugs, with the constant movement of people making it easy to transfer and pick up bed bugs on clothes and bags. Bed bugs like clutter, and once they’re in your home they will find plenty of hiding places if you have a lot of clutter lying around. From here they can multiply quickly, leaving you with an infestation on your hands before you suspect a thing. When this happens, you will need the services of expert bed bug exterminators. ClearFirst Pest Control provide a prompt, reliable bed bug treatment service throughout Derby and the surrounding areas. Our experienced technicians will thoroughly inspect your home to root out the hardy pests, and will use the best, most suitable treatment to eradicate them from your home. Getting rid of bedbugs is a difficult task, but you can rely on ClearFirst Pest Control to keep your home free and clear of infestation, so don’t hesitate to give us a call today.